The cream has risen to the top in Three Rivers League cross country. And as it turns out, there was a whole lot of West Linn flavor in that cream. From the West Linn boys team, all five of its scorers from the TRL district meet — senior Kenney McElroy, senior John Wetzsteon, senior Avery Cook, junior Dash Lipsey and senior Graham Yotsuya — won first-team all-league honors for 2018. "All of them put in a ton of work over the summer with the goal of putting 4-5 guys in the top 10 at district and bringing home a district championship," said West Linn coach Jay Schrotzberger. For the Lion girls team, junior Moya Moses earned a first-team all-TRL berth. "Moya had a bit of an up-and-down season while dealing with a calf issue late in the season … (but) when fully healthy, Moya had some great races that saw her begin to realize all of the talent that she possesses," Schrotzberger said. The Lion boys stepped up to win the Oct. 24 district meet with 30 points and beat second-place Oregon City by 54 points. McElroy took second at district, followed by Wetzsteon in third, Cook in sixth, Lipsey in ninth and Yotsuya in 10th. "Kenney McElroy had a breakout season that saw him realize the potential that we started to see in him back in the spring track season," Schrotzberger said, adding that "Wetzsteon had yet another strong season … (despite) some frustrating leg issues throughout the season. (But he) worked his way through them to record two of his best races of the season at the district and state meet." Cook, Schrotzberger said, "was one of our strongest runners last year as well, (but) his work over the summer helped him make a big leap this year that saw him run much faster than he did last year." Moses won her first-team berth by finishing eighth at district. "She, like everyone else in the varsity ranks, put in a lot of preseason work in order to come into the season with tremendous fitness and confidence," Schrotzberger said, adding that junior second-teamer Alyssa Rowe's performance this season "was huge for our girls. (She) is one of the most fiercely competitive athletes we have on the team, boys included." Second-team selections from the Lion boys team were junior Sam Bennett (he placed 11th at district) and senior Nate Davidson (he was 16th). 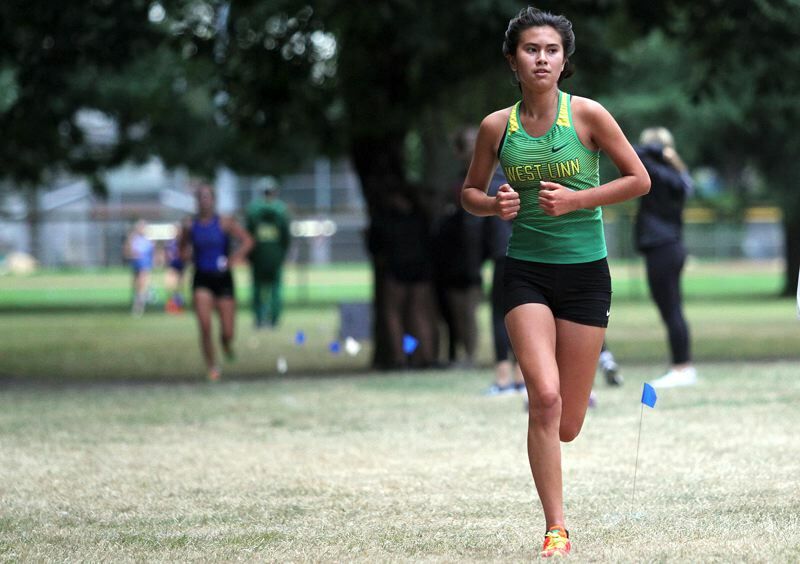 For the West Linn girls, second-teamers were Rowe (she took 12th at district) and senior Chantel Florendo (she was 15th). And finally, freshman Maddie Meyer and sophomore Makenna Kellogg both won berths on the all-TRL honorable mention team after finishing 22nd and 23rd at district. 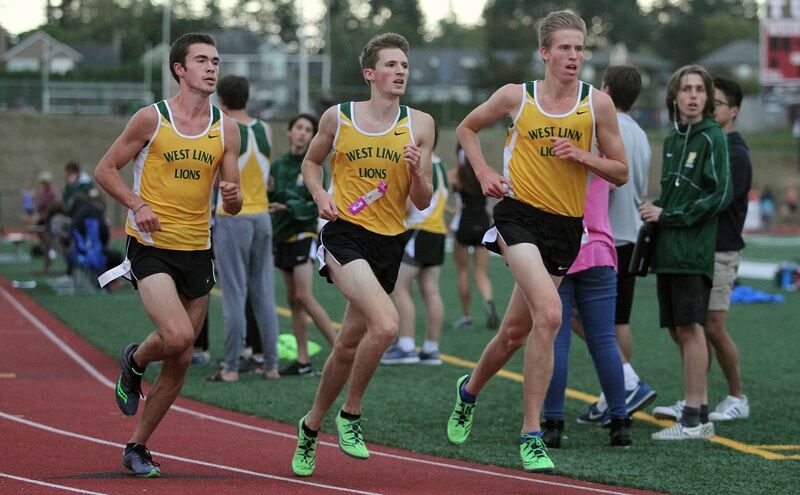 The West Linn boys went 5-1 and tied for first place in league competition this year, the team's only loss coming in its regular-season finale when it rested its varsity runners. At the state meet, the Lions placed eighth among 21 teams. The Lion girls, meanwhile, notched a 3-4 Three Rivers record to tie for fourth, then raced to third place at the 2018 district meet and earned a berth to the Class 6A state meet. At state, the Lions ran to 13th place in the 21-team field.